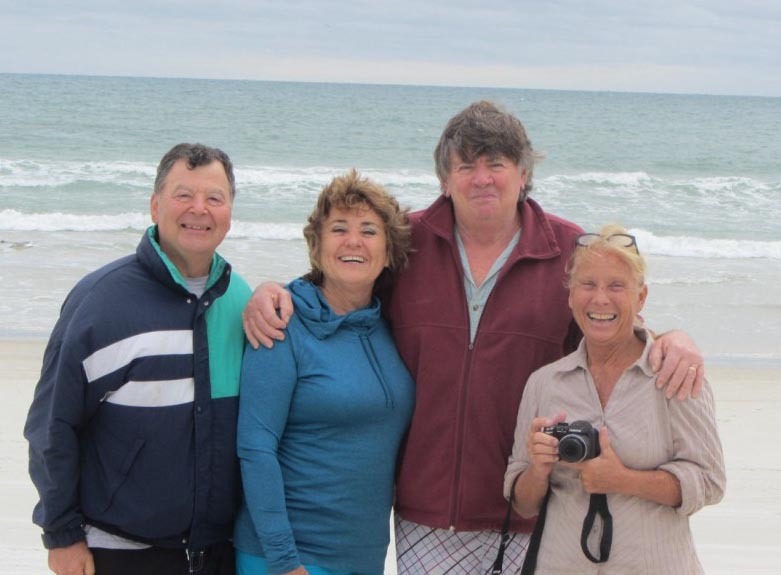 We had a very nice "December to Remember" that included some nice activities and our annual trek to Daytona Beach for more memories at Perry's Ocean Edge Resort. There was our Bible Fellowship Christmas Party (games courtesy of Jay and Bonnie), the Florida Senior Games racquetball competition (Jay was second in his age group), our service times with the Shower Ministry, a golf tournament where Jay helped with the post-tournament games, and a nice Christmas day with most of the family. One of our “accomplishments” this month was to go out and get us each a smart phone. It wasn’t that our flip phones got broken or anything like that; it just got to the point where we couldn’t take the abuse from the kids. So now we have a car and phones that are all smarter than we are. A nice month: Savanah running middle school track and playing rec league softball. Celebrating the triplets' birthday. Presenting for Veterans Day. A GIANT Thanksgiving highlighted by a surprise visit by Rusty and Anne who showed up at the door at 2 a.m. from New Orleans followed by a complete gathering of the Clan with Nanny coming in from Indianapolis. So we had 19 for Turkey Day and then a few ventured out to try to catch some early Black Friday specials. Robert described his experience: “If Satan could design hell it would be endless Black Friday shopping.” On Friday we traveled to Orlando where we all saw ICE! and had a super nice time with games and snacks later at the Orlando World Center Marriott where Philip Wright once again helped us get rooms. Karen and Jay continued coaching Braden's soccer, proving decisively that no amount of screaming, begging, cajoling, and coaxing from the sidelines can get a six-year-old to "get open" when it's much easier to cluster around the ball and stab at it with a foot if it perhaps is laying at one's feet. We received similar reports from Alabama where we understand Benjamin played an entire game without touching the ball except for the one time it was kicked into his chest. But they are having fun. Also in Alabama, Everett got some extra attention when his foot was in a cast, though he never seemed to notice it except for adjusting his walk. All better now. 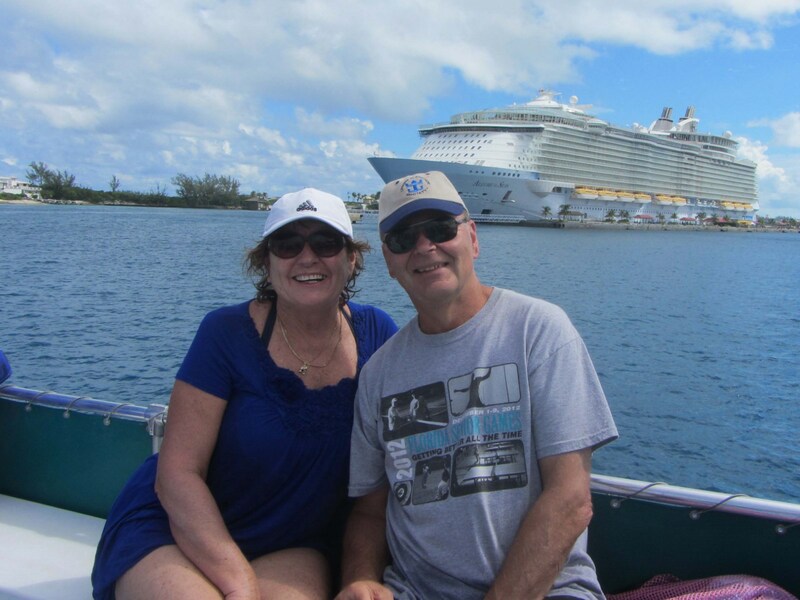 Jay and Bonnie got away for a full week of cruising that also included celebrating Bonnie's birthday on the FlowRider. You have to see the video. Bonnie continued with tennis and learned even more how to be a good sport. (That's what you say when you are a loser.) Halloween was fun with crazy costumes and good candy. We began the month with a weekend at one of our favorite Orlando-area places: the Hyatt Grand Cypress. Then we made a surprise visit to New Orleans to help Anne (re)celebrate her birthday. Bonnie’s tennis resumed so she certainly liked that. Seth earned a placed on the Mulrennan Middle School Basketball Team. 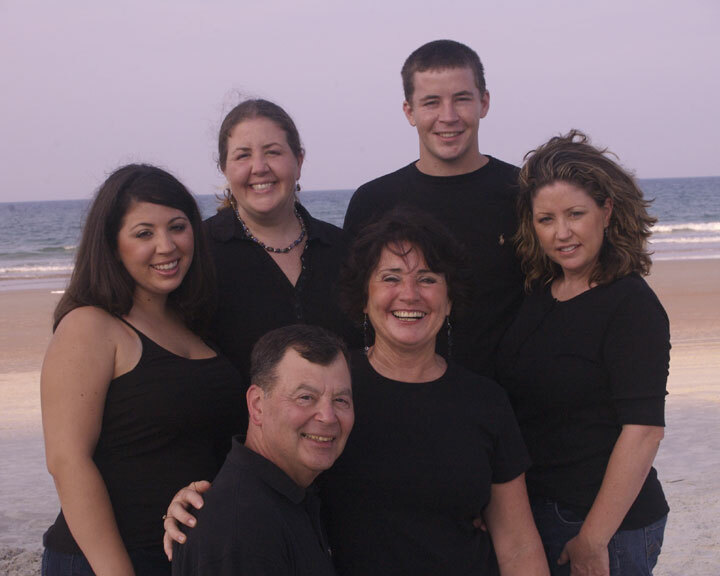 Karen and Dad began co-coaching Braden’s U-7 soccer team, the Strikers, for the Brandon Area Youth Soccer League (BAYSL), Savanah joined the of the Bloomingdale Senior Girls' recreational softball league, and the triplets signed up for Hip Hop lessons. We attended Grandparent’s Day at Walden Lake Elementary for Sydney and the Cougar Challenge at Cimino Elementary for the triplets. Finishing up some summer activities. 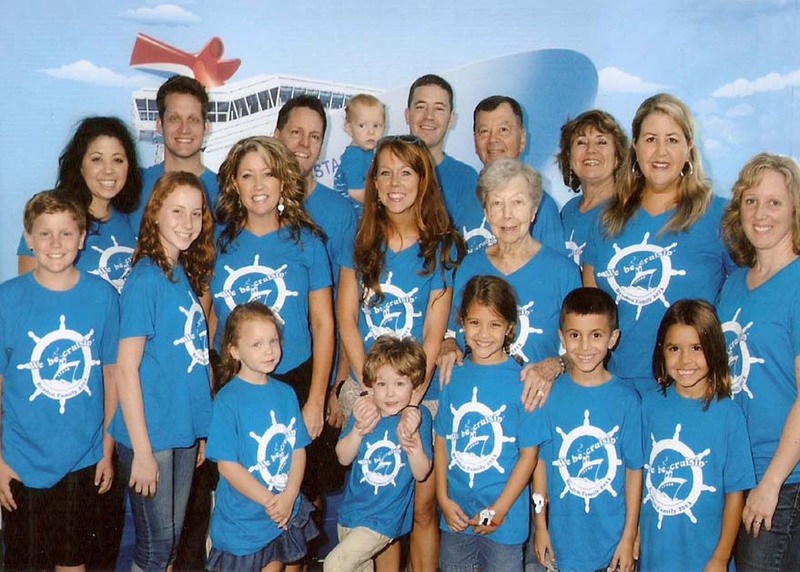 One of the big ones was our family cruise to the Bahamas. Thanks to Nanny for cabin upgrades. There were 19 of us and - as always - it was great getting everyone together. Rusty took some ribbing because it was his first cruise, but by the end he was working the buffet like a pro. We also finished up our third season of Upward Soccer and that was also a good time for Seth and Sydney. Bonnie and I continued to help with the Shower Ministry and were glad to be able to do so. August was back-to-school month for the kids, so Anne and Sandra worked to get their classrooms ready; and Benjamin, Savanah, Seth, Sydney, Braden, Daylin, and Skyler got to meet their teachers and make new friends. We also said Hello to a new addition to the family – an SUV - having put more than 280,000 miles on our GMC Jimmy. Unfortunately, with its voice-activated and other automated systems, the SUV is a lot smarter than we are. July 20, 2013. The day was wonderful. The month was busy: Couples shower; Bridesmaids' Shower, Rehearsal Dinner, decorating the Sanctuary and the reception areas. Whew. But absolutely worth it. The entire month was - eventful. 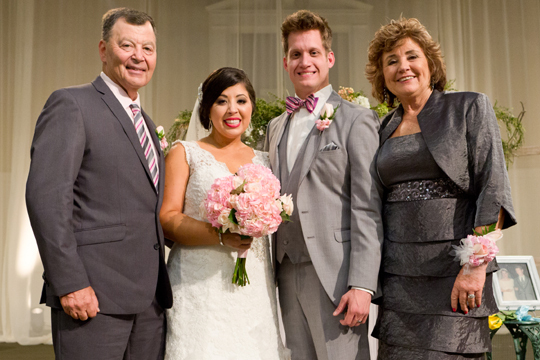 We were much saddened by the death of Rusty's father Robert; and Anne joined the family in Indiana for the funeral. Wedding-related events included a couples shower for both Rusty and Anne and a ladies shower for Anne. The wedding was great and after the wedding there was a honeymoon on Ana Maria Island followed by a return to Brandon for packing out Anne's condo, driving the rental truck and cars to New Orleans, setting up their new household in married student quarters, and Anne beginning her new job. We also worked to get her condo in shape for new renters. Sandra worked to get her new classsroom at Walden Lake Elementary School ready for students. The wedding: Our house resembles a craft shop. Three bedrooms, the family room, and kitchen area filled with ribbons, bows, sparkles, and whatever Bonnie can buy at Michaels Art and Decor and Jo-Ann Fabrics and Crafts. Plus she found another store with all kinds of crafts and cute things in nearby Plant City. Knowing Bonnie, I should have bought stock in all three stores in early April. Other things: Seth played in his age group for the South Brandon All Stars, Upward Soccer began for Sydney and Seth, and the triplets - Daylin, Braden & Sydney - had fun in camps at Sidekicks, a martial arts program. Here are a few Engagement Pictures. Nice couple, huh? Certainly a month still busy with “wedding stuff.” Much work getting out the invitations. More discussions on the menu, table decorations, outfits for the kids, pew bows and chapel decorations. 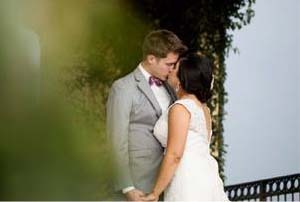 Rusty and Anne built a wedding Website. Braden, Seth, and Benjamin finished up baseball; Daylin, Skyler, and Sidney finished up gymnastics for the spring. Most of the family made it up to Lanett, Alabama to help Benjamin celebrate his fourth birthday. We also got to watch him play Tee Ball. Mom, Dad, Anne, and Rusty traveled to New Orleans to join in on the Preview Weekend for the New Orleans Baptist Theological Seminary. What a great month!! On April 5th Rusty Zwerner proposed to Anne. Rusty is currently the Middle School Pastor for Bell Shoals Baptist Church and he will be going to seminary in New Orleans beginning this August. The good news sent the BradenClan into a flurry of activity. I got invited to go wedding dress shopping as a prelude to all the upcoming events. By the end of the month we had picked out a wedding date, a wedding dress, dresses for the brides maids and flower girls, our venues, a photographer, and a preliminary menu. Whew. Busy but good. In other news, Bonnie continued with tennis, the grand daughters with gymnastics, Seth and Braden with Little League, and Jay with racquetball and golf. We also had a brief road trip up north to visit Robert and Natalie and to play with Benjamin and Everett. A big month for activities. We began with the Orlando wedding of Ben and Cherish Benedict. Then we were fortunate that Natalie and and boys could spend some time with us, so we went to nearby Chuck E Cheese's and to Tampa's Glazer Children's Museum. We got to spend a day and a half at the beach and have some more fun when Nanny visited. This included our second strawberry picking trip to the Mercer Farm and a tour/visit to Schakolad, one of the sweetest places in Tampa. During the month Bonnie continued her tennis and for racquetball I managed to win my age group for the third time in the Polk Senior Games. For Seth, Upward Basketball was replaced by Little League Baseball. Actually Seth plays in two leagues: South Brandon Little League and an under-11 select team that travels in the area. One Saturday he had four baseball games scheduled! Sydney began gymnasics so now we have three granddaughters who spend an hour each week in the nearby Golden City Gymnastics facility. To me, the hour seems to consist of 5 minutes of getting ready for class, 5 minutes warm-up jogging, 20 minutes stetching, a 5-minute water break, 10 minutes getting ready to work on some activity, 10 minutes of floor activities or bars - where most of the time is standing in line waiting your turn, and a 5-minute cool-down. But what do I know. Braden began Spring Tee Ball which involves Karen and Jay, and becomes a family outing for each game. ("Yes, Bonnie, I have ten dollars for fries and drinks.") Mid-month we got together with Paul and Dorothy as Dorothy was coming back from a trip to Costa Rica - a really nice time. A nice start to the new year. Florida temperatures hovered in the mid-80s while the rest of the country hovered in mid-icicles - but that's how it should be. 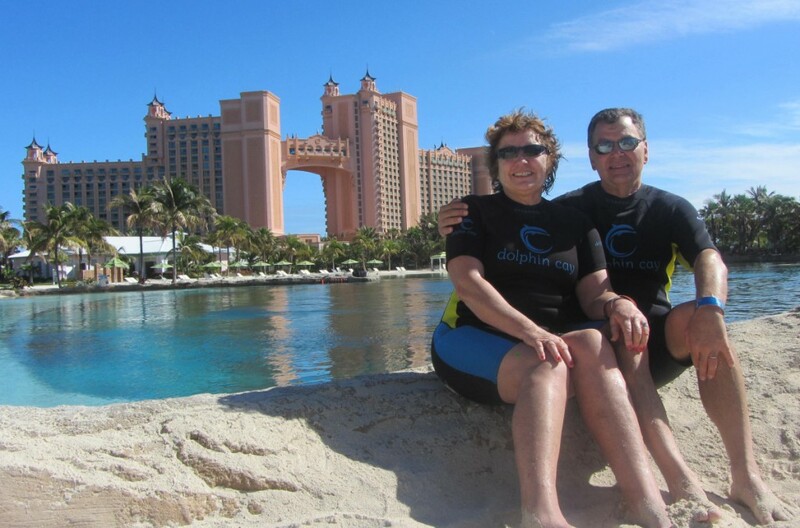 Jay and Bonnie snuck away for four great days at Atlantis. Savanah and Seth continued with Upward Basketball, with Steve coaching Seth's team and helping out with Savanah's. Daylin and Skyler continued with gymnastics. Bonnie's tennis started back up and Jay continued with racquetball and golf.